Band of Savers: What Are Mutual Funds? Today I wanted to step back to some of the basics of investing again. If you don’t already know, we love investing in the stock market, and have chosen to go 100% into stocks. We can feel comfortable doing this because of our long investment horizon and because we only invest in mutual funds which decreases our investment risks. 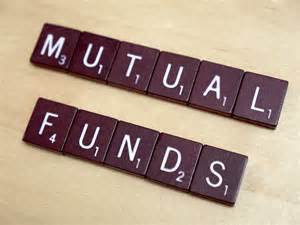 Basic explanation -A mutual fund is an investment shell. Within this shell are a large number of investments, typically stocks and/or bonds. When all of these investments are grouped together into a fund, people can purchase shares in the mutual fund. So, having a share of a mutual fund means that the investor owns part of the investment shell – and thus a small portion of all of the shares contained in it. This allows the investor to invest in hundreds of companies at once and reduces risk because poorer performing companies can be offset by better performing companies in the fund. But who then is picking the stocks? If I needed to remodel my house I could either choose to hire a professional to do it or I could try doing it myself. If I do it myself it will definitely take a lot longer and I could potentially do more damage than good, but it could be done. Similarly, while picking your own stocks successfully is possible it can be very difficult without professional intervention. Mutual funds are managed by an individual or team of professionals with a very high level of investment expertise called fund managers. These fund managers have a tremendous influence upon the success or failure of their mutual funds, which is why a fund manager’s track record can be an important element in deciding whether to invest in that fund. If the fund managers decide what is put into each fund then how do I know what I’m buying into? For instance, the backbone of my portfolio are funds which attempt to track to the S&P 500 (VFIAX at Vanguard and FXAIX at Fidelity). If I type in VFIAX into the Morningstar search box I am given the following Style Map which tells me that it generally invests in very large “core” type stocks. By investing in these funds I can be confident that as long as the 500 biggest companies in America are continuing to make money then so will I.